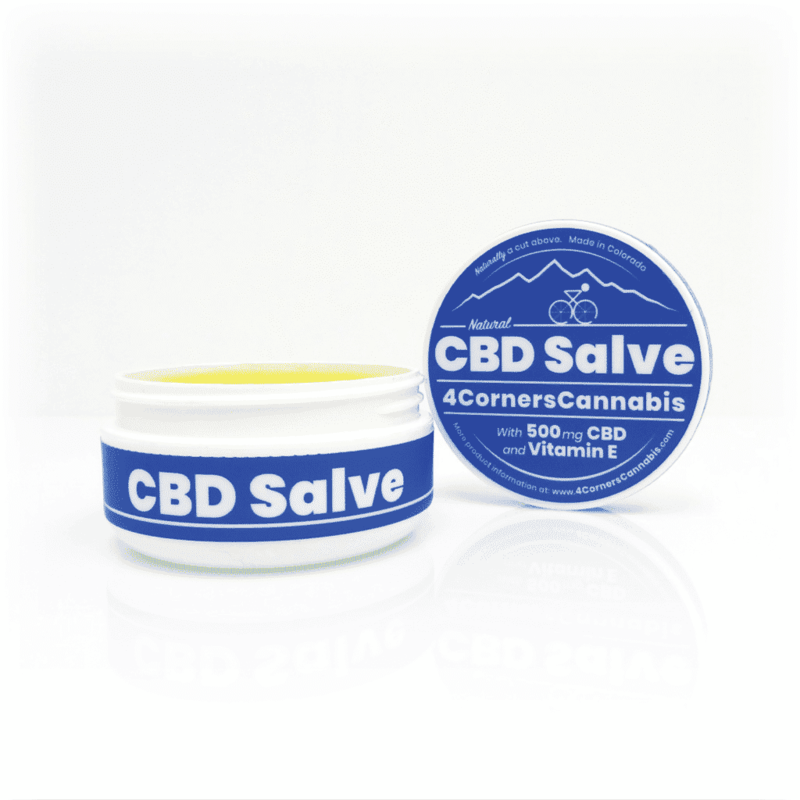 The 4 Corners Cannabis Salve comes in a 2 oz. neatly designed container. The listed ingredients are coconut oil, beeswax, antioxidants, CBD oil, and “choice terpenes.” The coconut oil provides a pleasurable scent but also makes for a slightly greasy residue post-application. 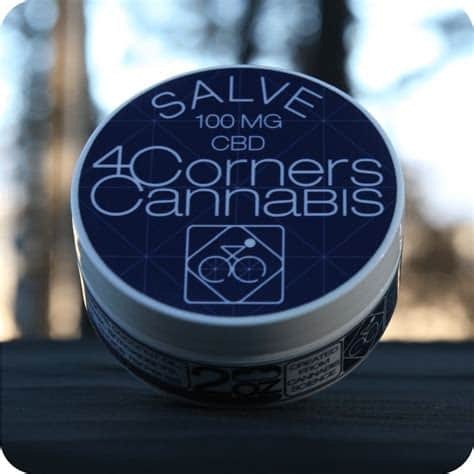 According to their website, their salve “uses organic triple-filtered beeswax from a family farm and the finest coconut oil on the market.” On the product page, 4 Corner’s explains that salve should only be used locally as it does not cross the blood barrier. 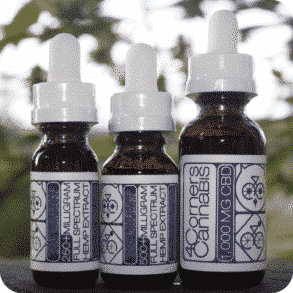 For that reason, if you are looking for the overall CBD experience they recommend opting for their vape liquid or tincture. It’s a recommendation that comes off as refreshingly honest as it’s clear they’re not just about hawking their salve. 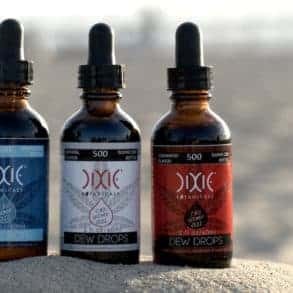 In fact, everything about the 4 Corner’s Cannabis company leaves one with the impression that it is really the finest product and the best results that they’re after for their customers. People use salve for various reasons: dry skin, skin irritations, aches and pains. 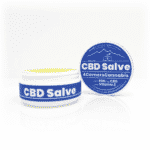 We were testing the 100 mg 4 Corners Cannabis CBD Salve. 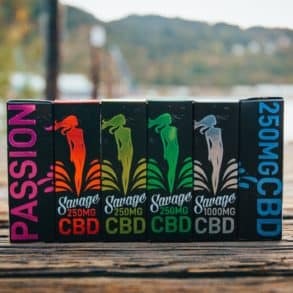 Their website indicates they have now increased their CBD content in the salve to 500 mg. As I had been dealing with a sore knuckle on my right hand, I thought I’d apply it to the area and see if it made a difference. It did. It did not get rid of the soreness altogether but it did make a noticeable difference. The knuckle became less sensitive to the touch and generally less sore. I am curious to know what effect the 500 mg salve would have, but even with the lower dose I was pleased with the result. Overall the salve has a pleasant odor and applies very smoothly. The packaging is well-designed and easy to open. From the looks of their product page online, the packaging has changed slightly from what they sent us. And the new packaging includes Vitamin E as an ingredient. As mentioned above, the salve does have a slightly greasy residue due to the coconut oil. But for us this was not a deal breaker– it just comes with the coconut oil territory. It is relatively expensive. At the time of this review, a 2 oz. container costs $74.99, an apparent markdown from $99.00. 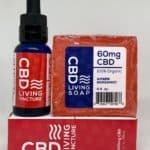 That said, with the increase in CBD dosage and the advantages that come from purchasing from a seed-to-sale company, this effective product may be just what you need for localized skin treatments and well worth the expense. 4 Corners Cannabis out of Durango, Colorado is the real deal. They're not just "organic and pesticide-free" like many other companies. They grow with genetics in mind, only using the finest clones with substantial cannabinoid content, terpenes, mold resistance, pest resistance and more.